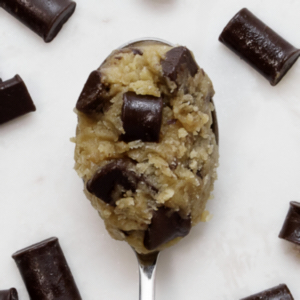 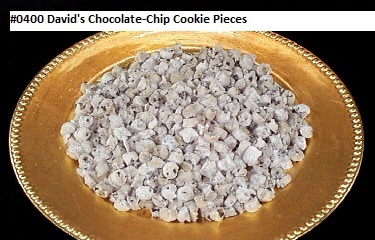 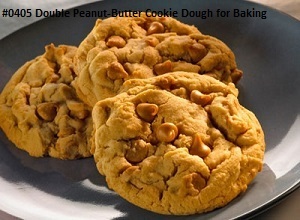 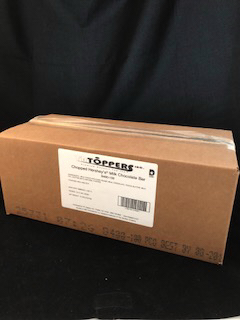 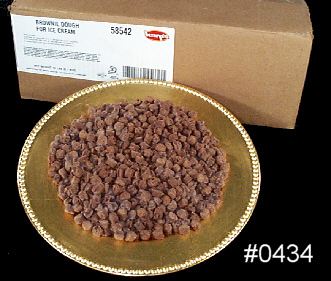 0400 DAVIDS CHOC CHIP COOKIE DOUGH PCS FRZ 10 lb box. 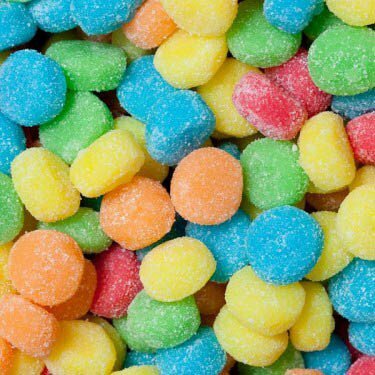 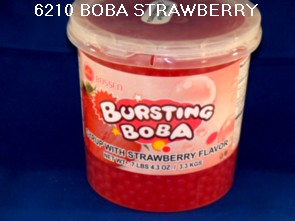 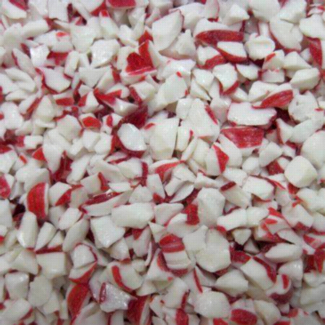 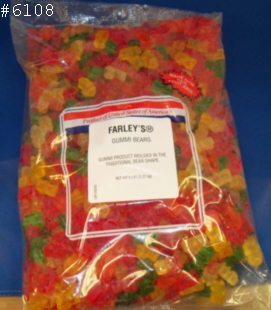 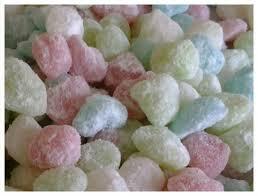 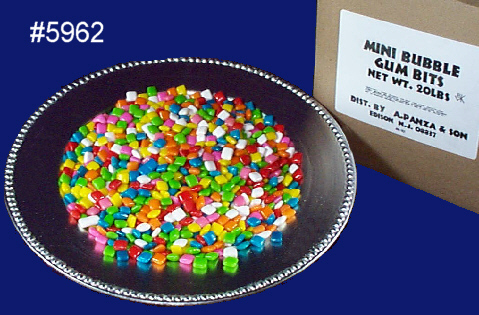 5962 CANDY BUBBLE GUM MINI BITS 20 lb. 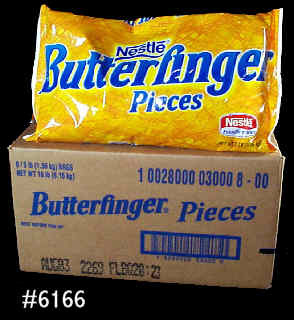 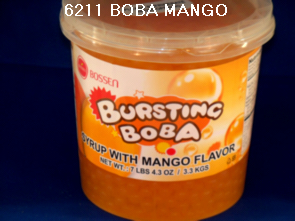 6166 CANDY BUTTERFINGER CHOPPED REF 2/5 lb. 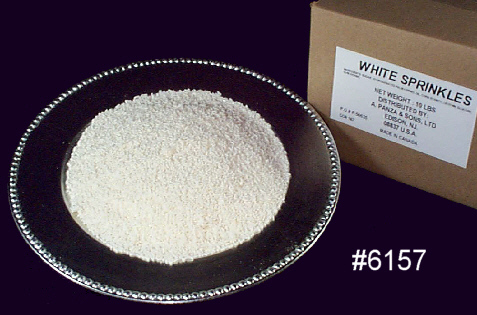 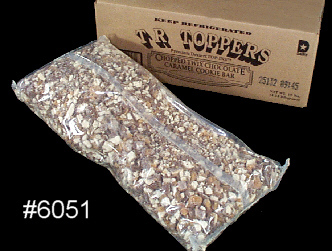 6109 KRAFT MINI MARSHMALLOWS 8/2LB BOX 8/2 lb. 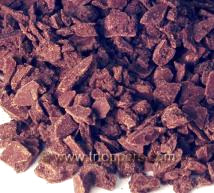 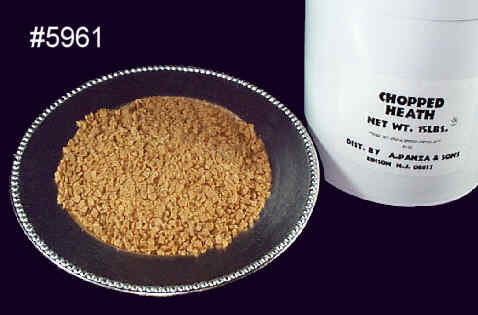 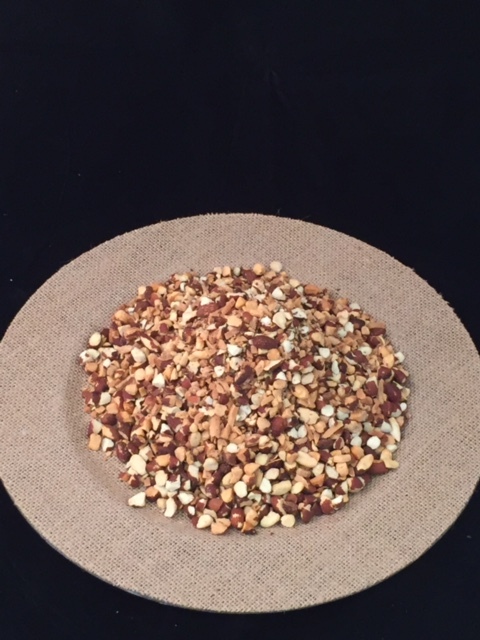 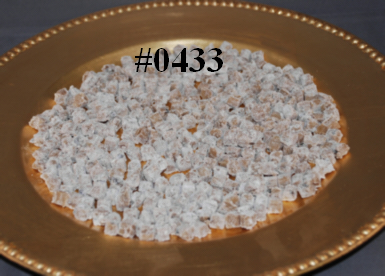 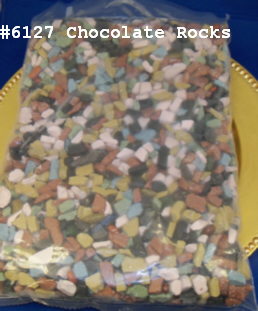 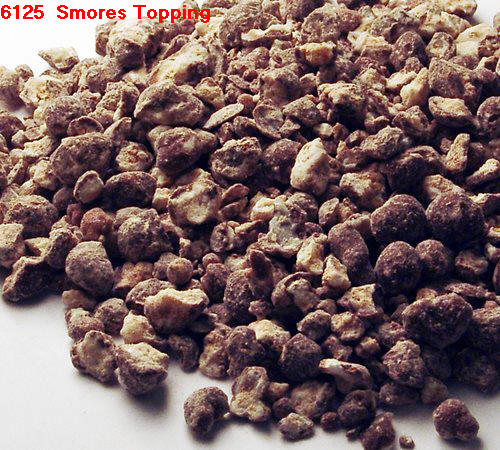 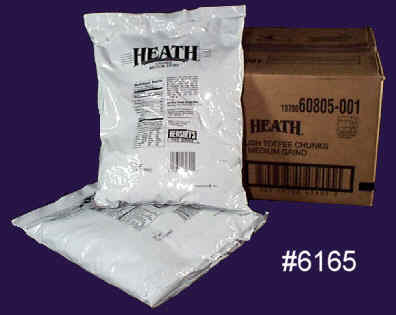 6165 CANDY HEATH BARS GROUND REF 2/5 lb. 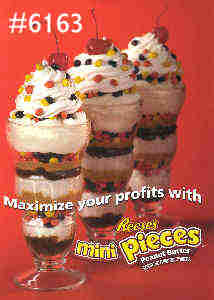 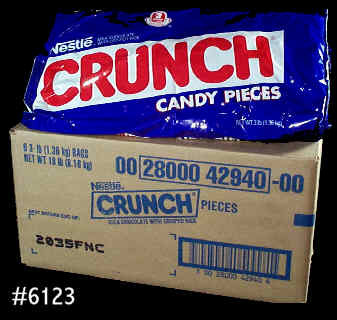 5961 CANDY HEATH PIECES CHOPPED NO CHOC. 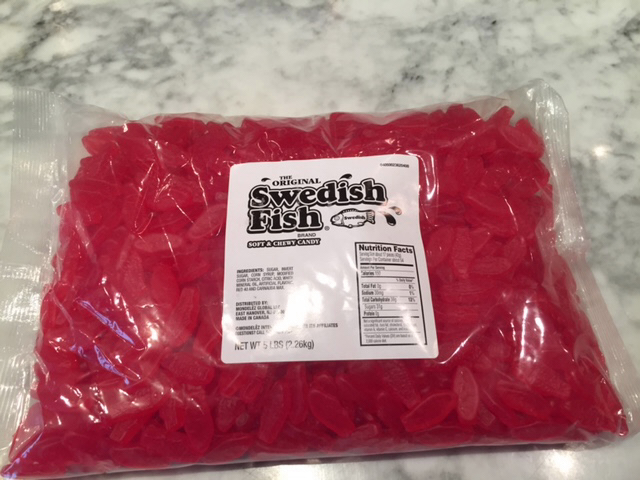 15 lb. 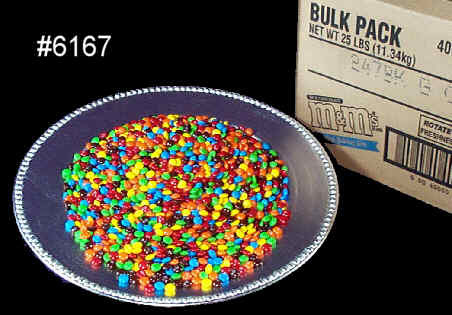 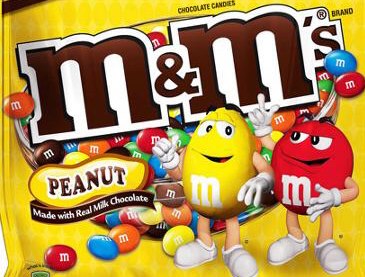 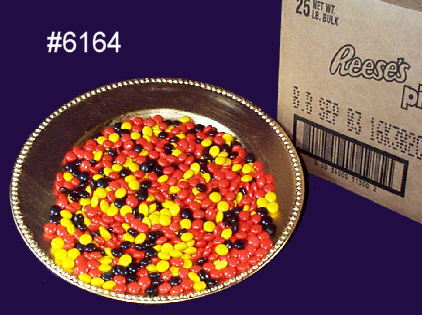 6172 CANDY PEANUT M&M CANDY 6/42 oz. 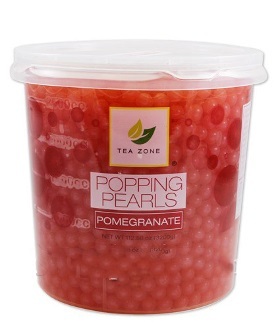 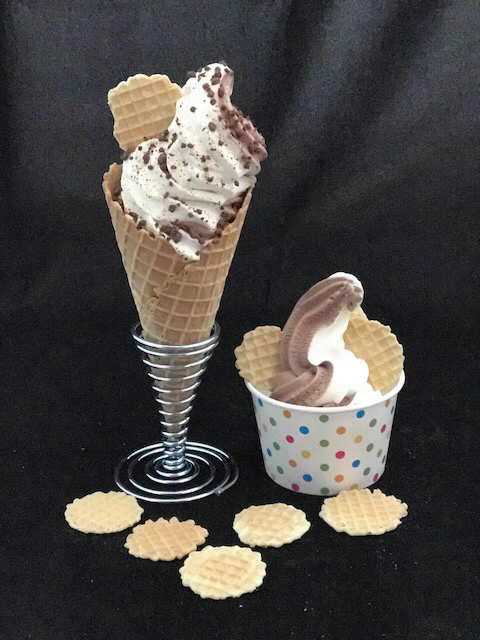 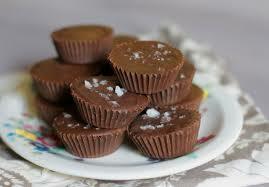 6037 CANDY MINI SEA SALT CARAMEL CUPS REF 2/5 lb. 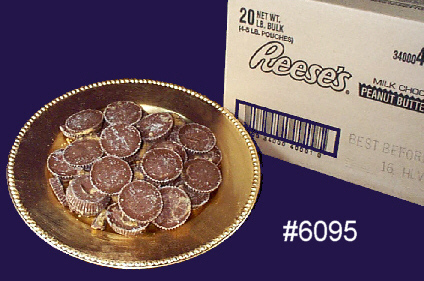 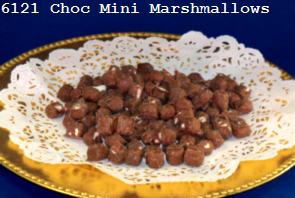 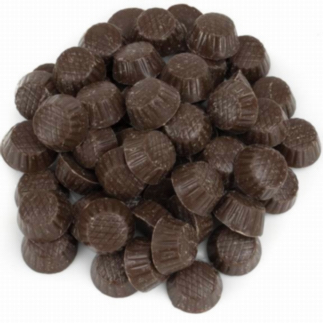 6038 CANDY MINI PEANUT BUTTER CUPS REF 2/5 lb. 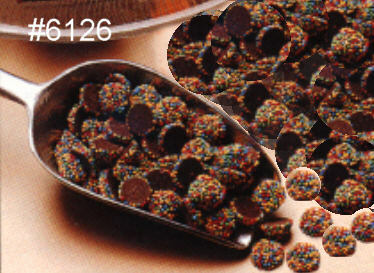 6039 CANDY MINI CHOC. 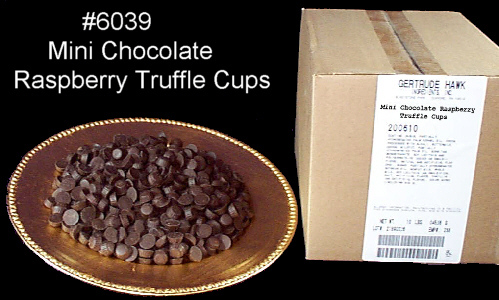 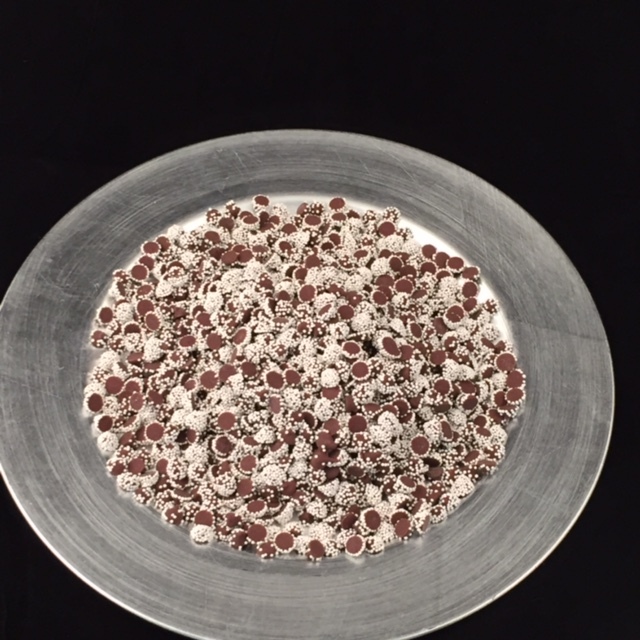 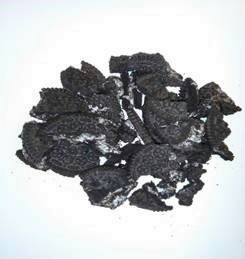 RASP TRUFFLE CUP REF 2/5 lb. 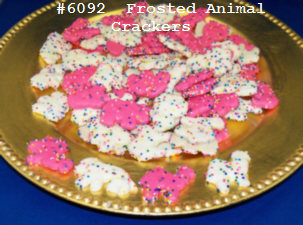 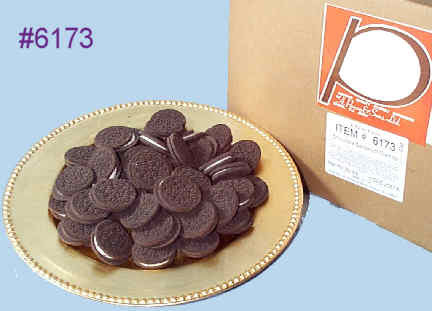 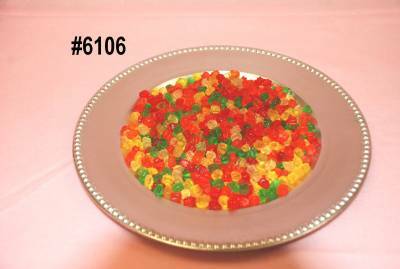 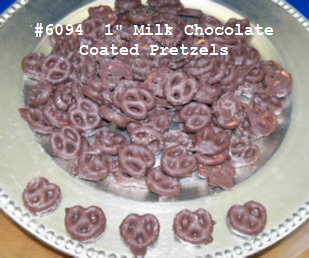 6041 CANDY MILK CHOC. 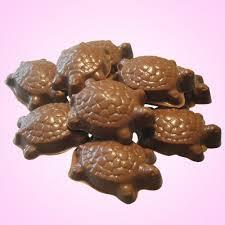 CARAMEL TURTLES REF 2/5 lb. 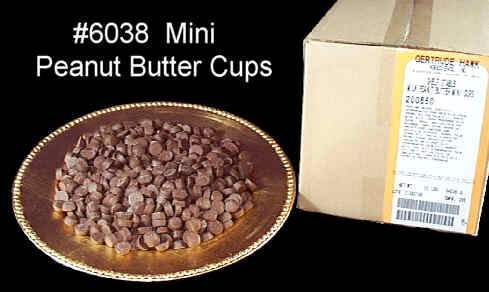 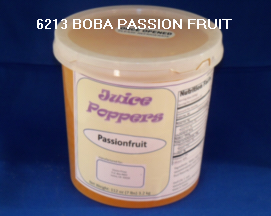 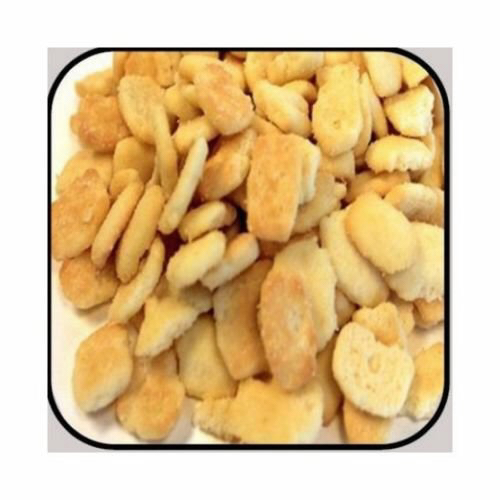 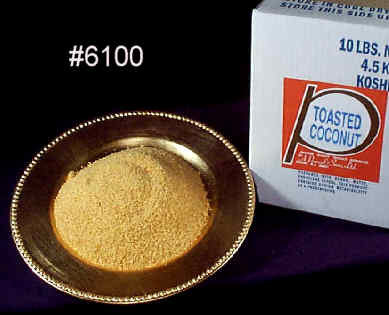 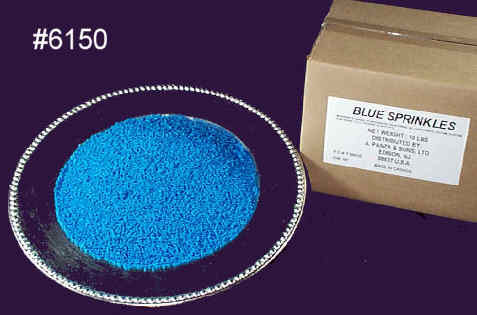 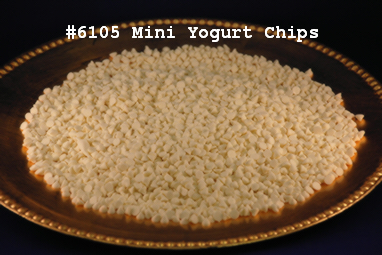 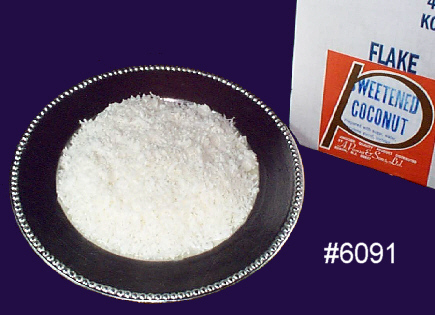 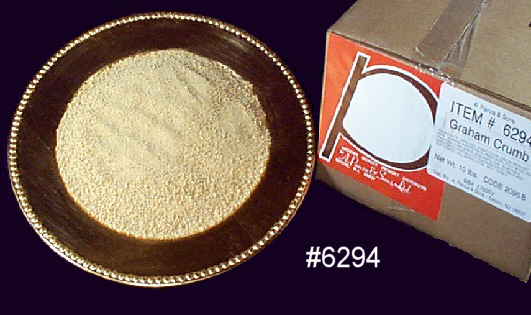 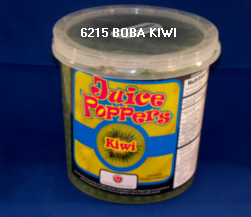 6042 MINI SUGAR FREE PEAN.BUTTER CUPS REF 2/5 lb. 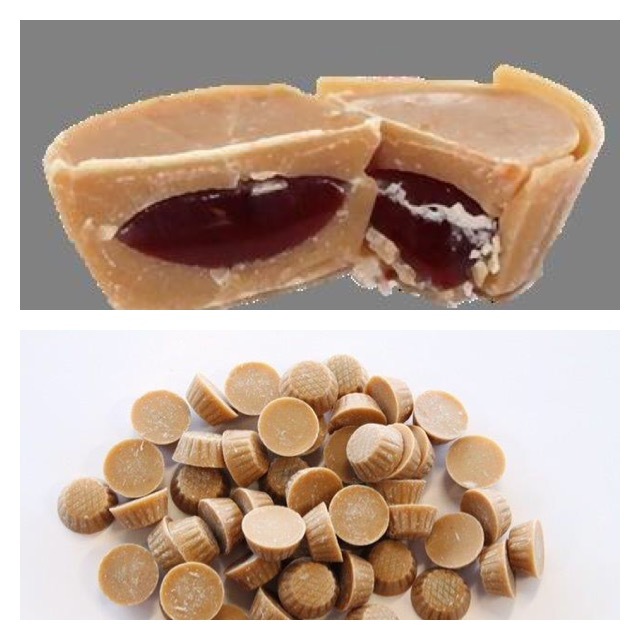 6043 MINI PEANUT BUTTER & JELLY CUPS REF 2/5 lb. 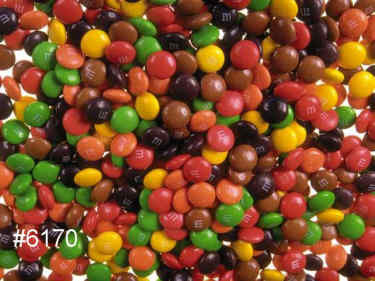 6040 CANDY MINI MILK CHOC. 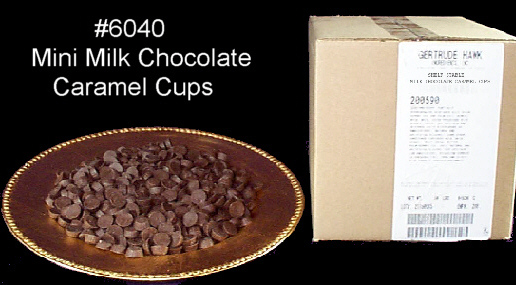 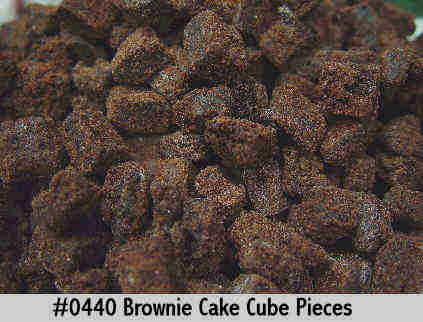 CARAMEL CUP REF 2/5 lb. 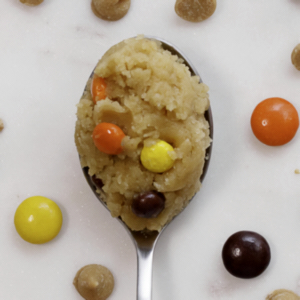 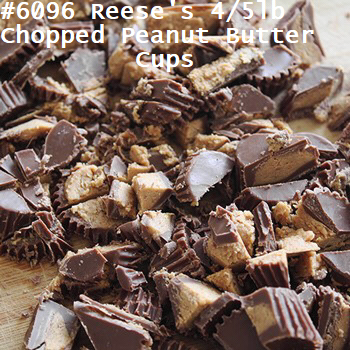 5963 CANDY REESE PIECES CHOPPED 15LB 15 lb. 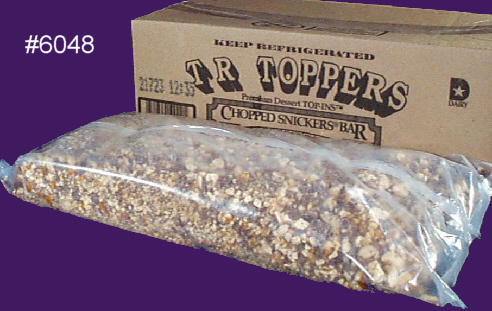 6048 CANDY SNICKER BARS CHOPPED REF 2/5 lb. 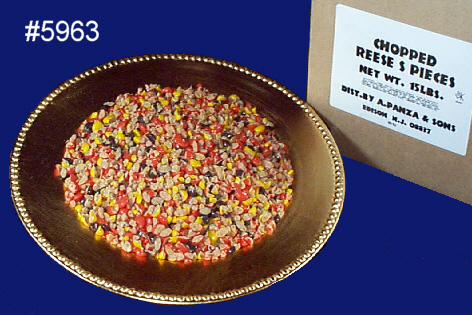 6051 CANDY TWIX BARS CHOPPED REF 2/5 lb. 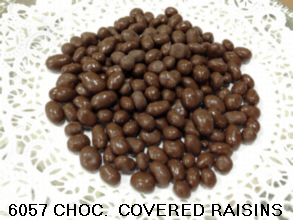 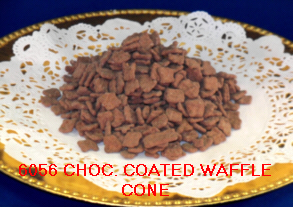 6060 CANDY HERSHEY CHOC BARS CHOPPED REF 2/5 lb. 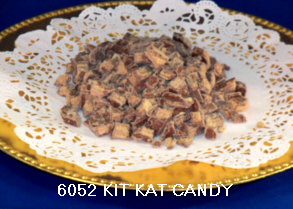 6052 CANDY KIT KAT 10lb. 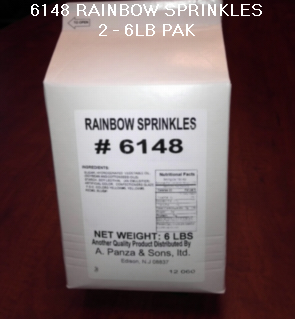 BOX REF 4/2.5 lb. 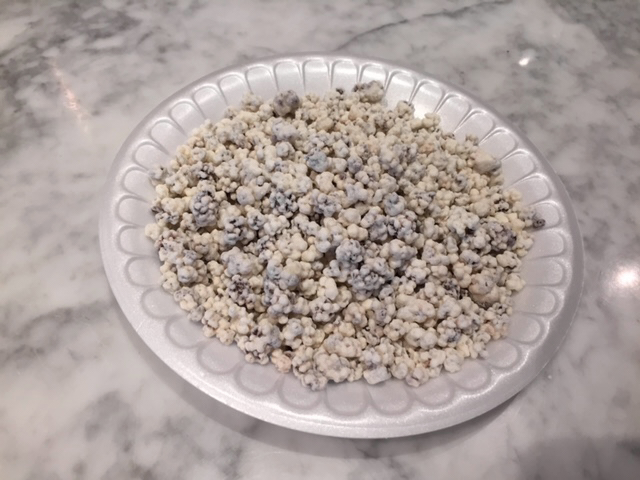 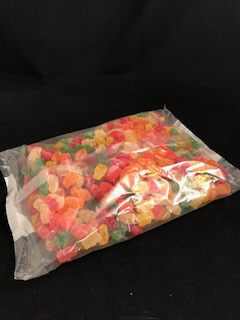 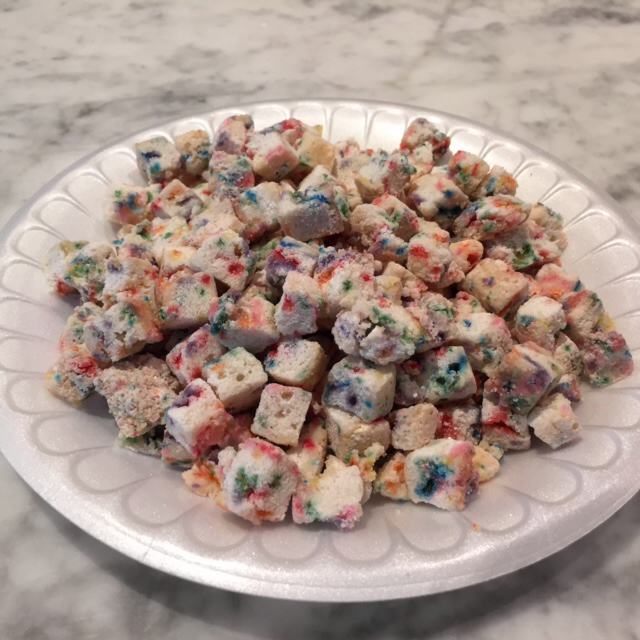 5966 CEREAL FRUITY DYNO BITES 4/46oz. 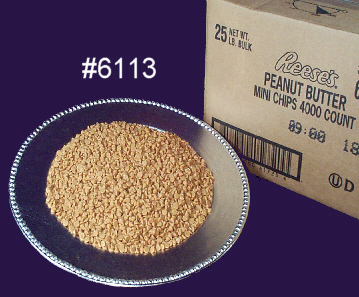 4/46 oz. 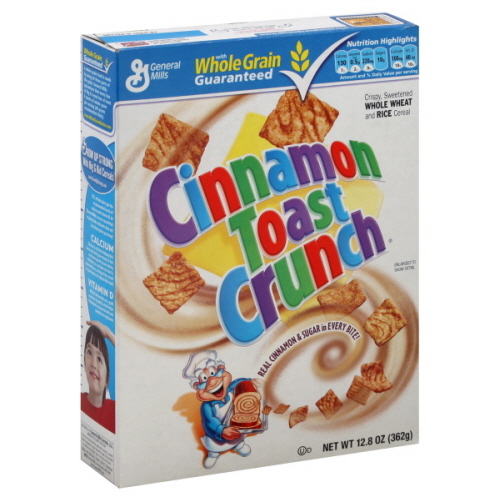 5967 CEREAL CINNAMON TOAST CRUNCH 4/45 oz. 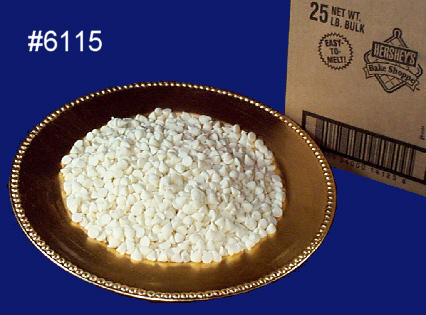 4/45 oz. 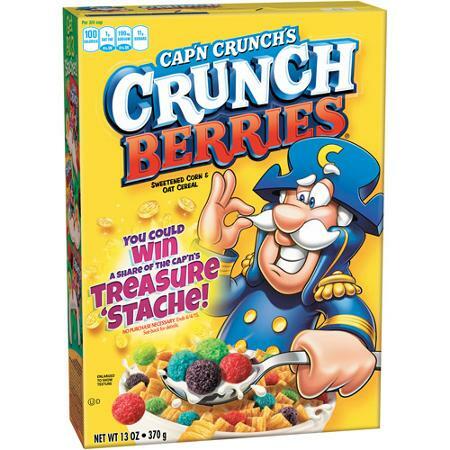 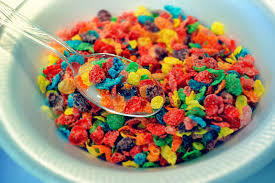 5969 CEREAL CAP n CRUNCH BERRIES 4/34 oz. 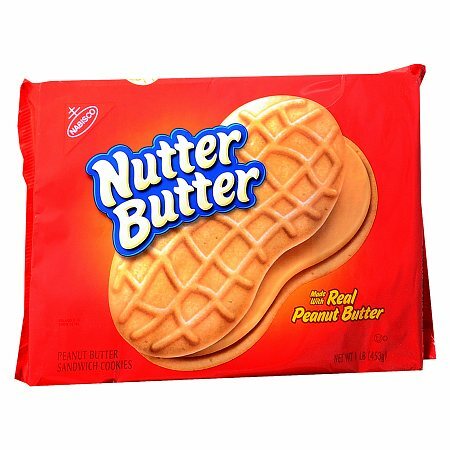 4/34 oz. 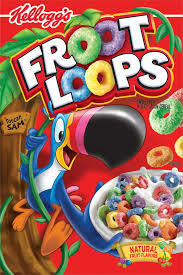 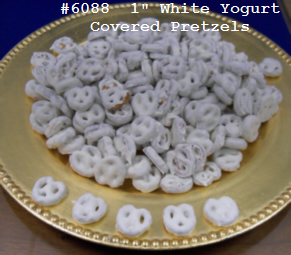 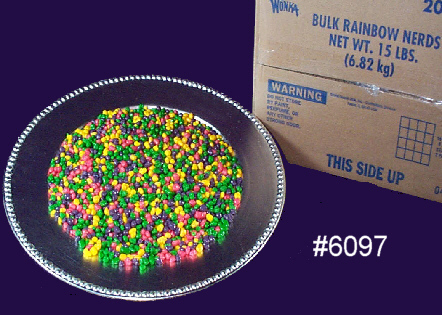 5970 CEREAL FROOT LOOPS 4/31 oz. 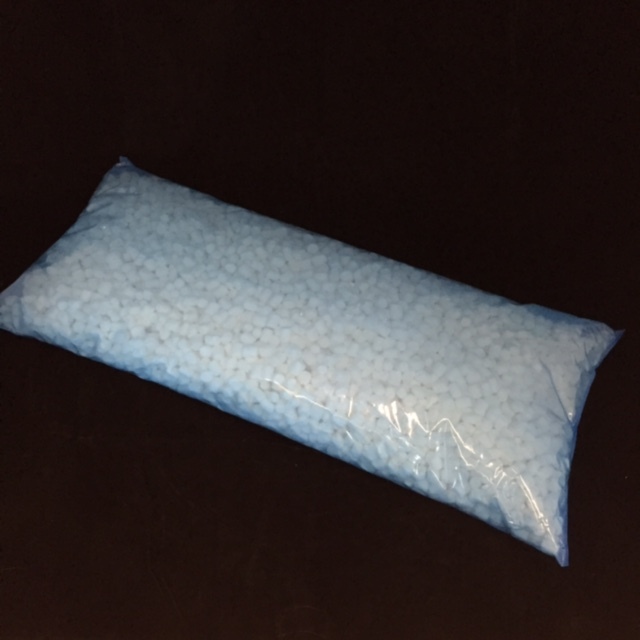 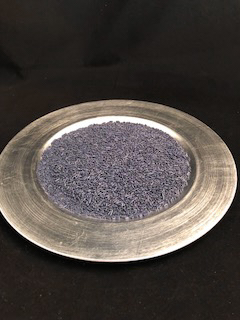 4/31 oz. 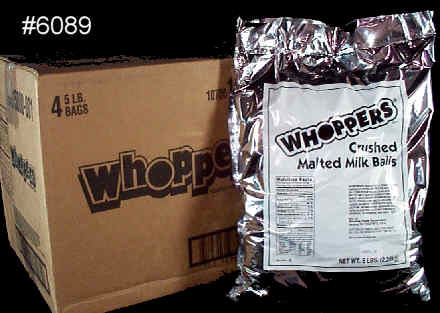 6089 CANDY WHOPPERS CHOPPED 10 lb. 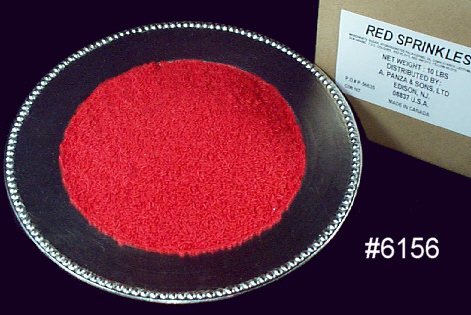 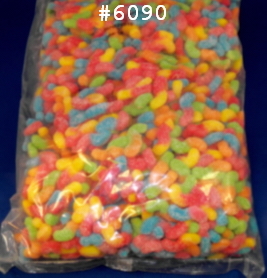 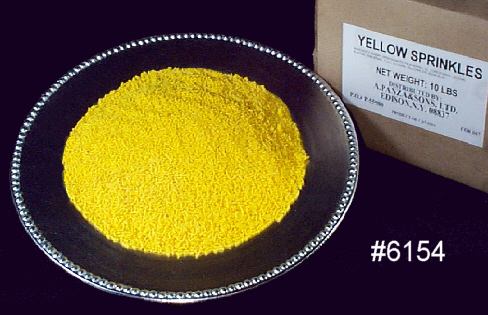 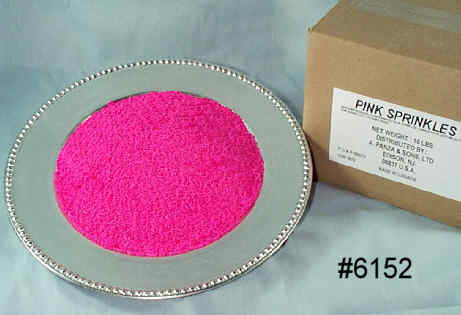 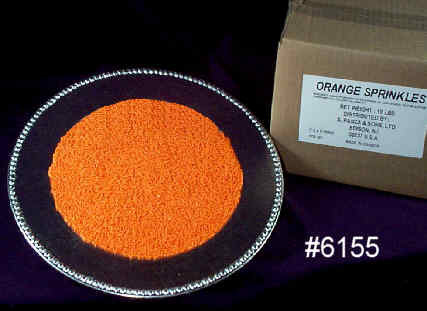 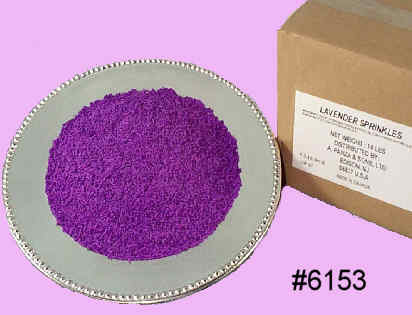 6090 SOUR TINY COLORED NEON WORMS 18 lb. 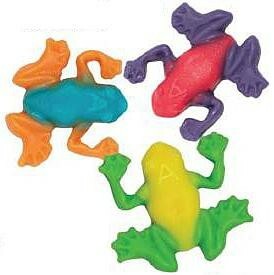 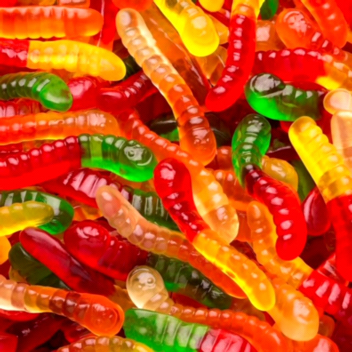 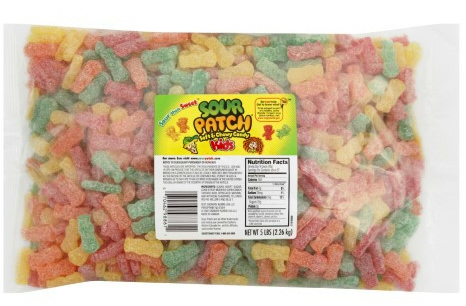 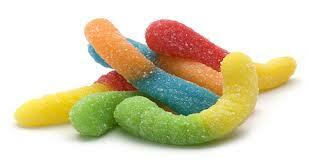 6118 MINI SOUR MULTI COLORED WORMS 18 lb. 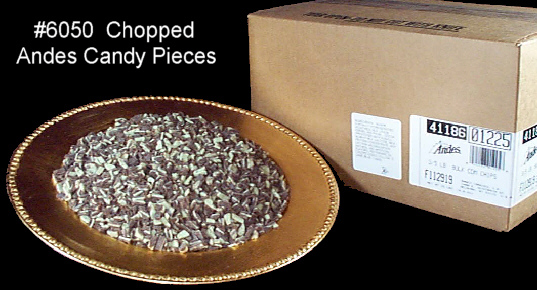 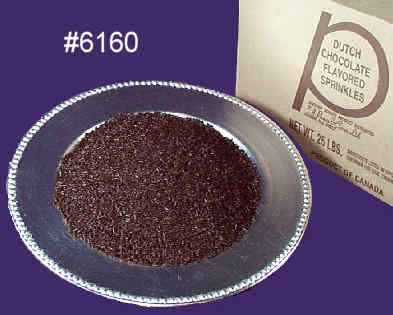 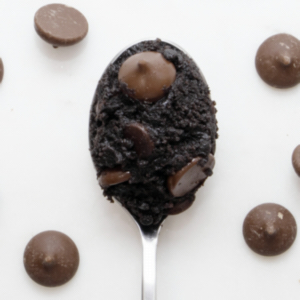 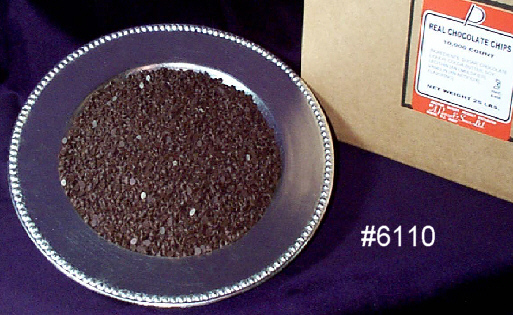 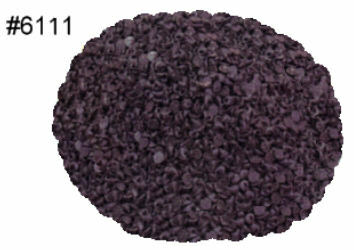 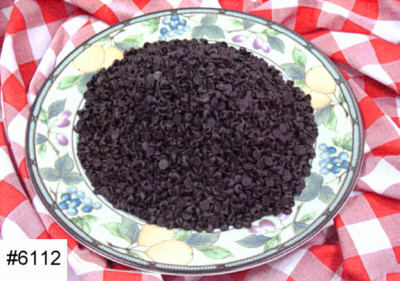 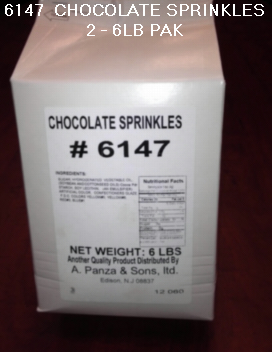 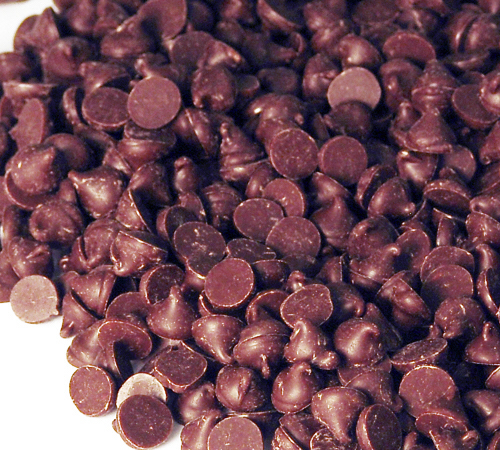 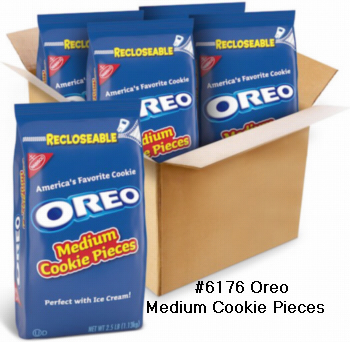 6147 12LB CHOCOLATE SPRINKLES 2/6LB BOX 2/6 lb box. 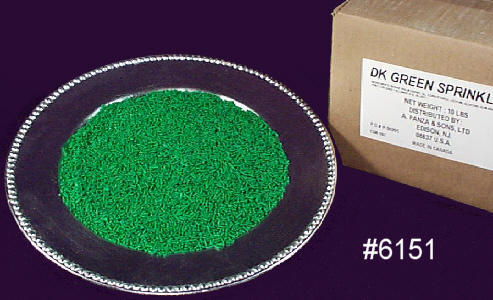 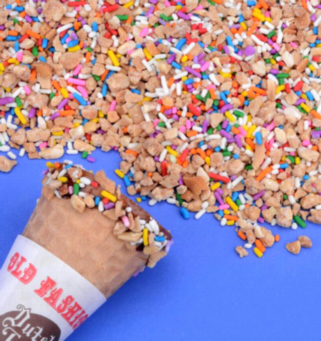 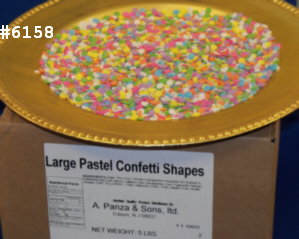 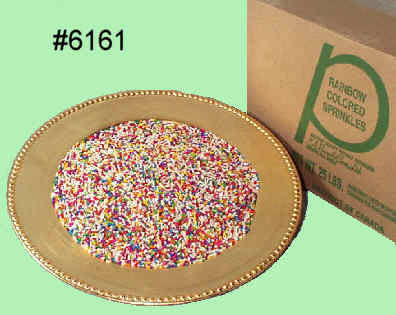 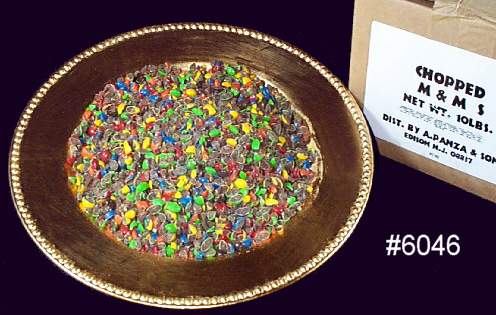 6148 12LB RAINBOW SPRINKLES 2/6LB BOX 2/6 lb box. 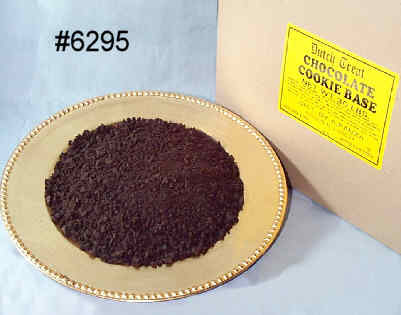 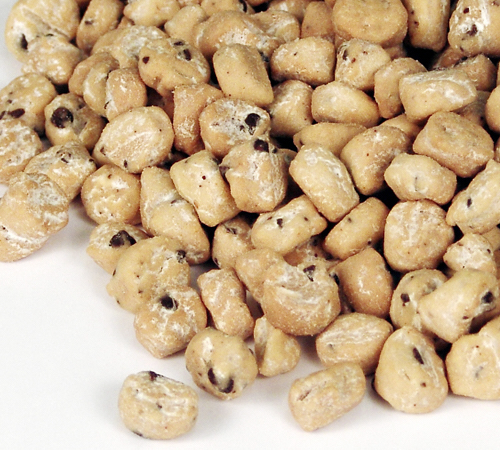 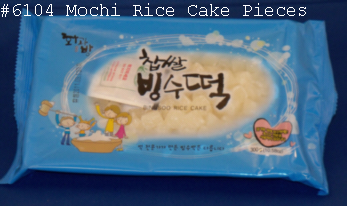 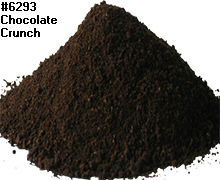 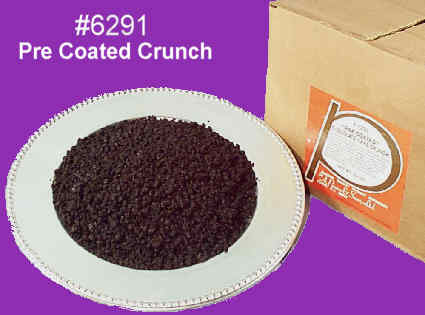 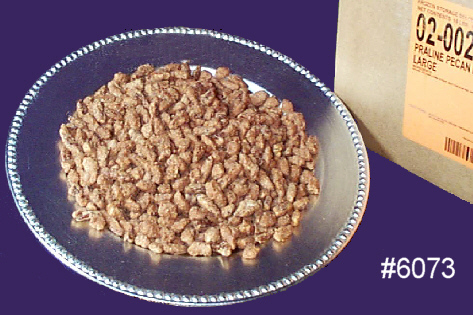 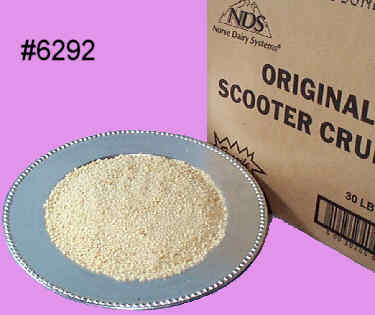 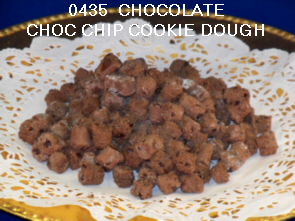 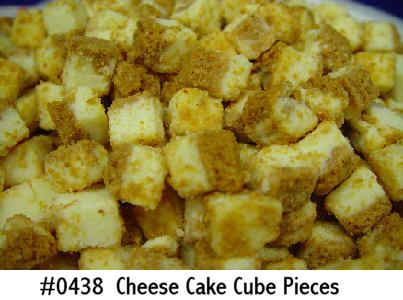 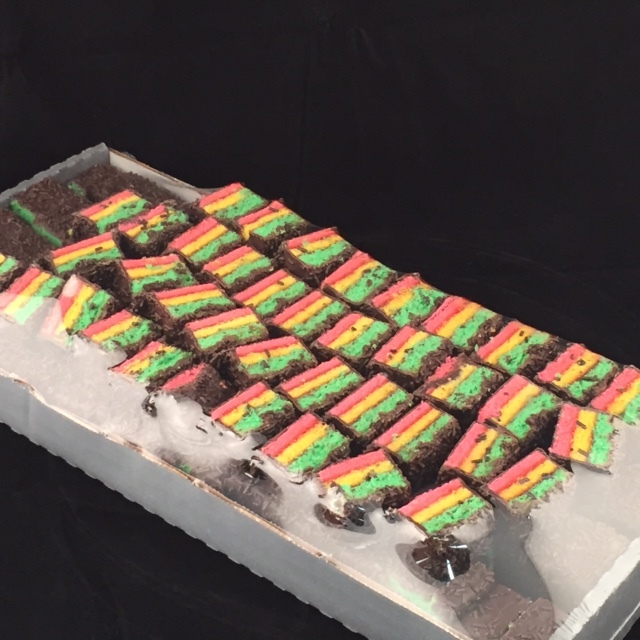 6291 CAKE CRUNCH CHOCOLATE PRE COATED 20 lb box. 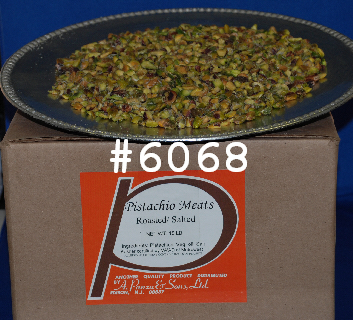 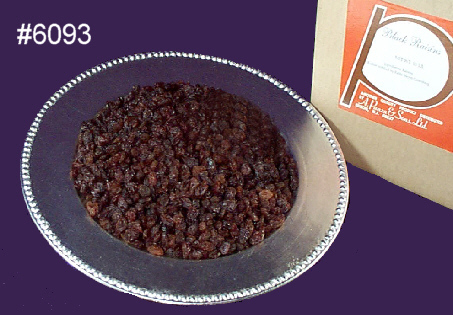 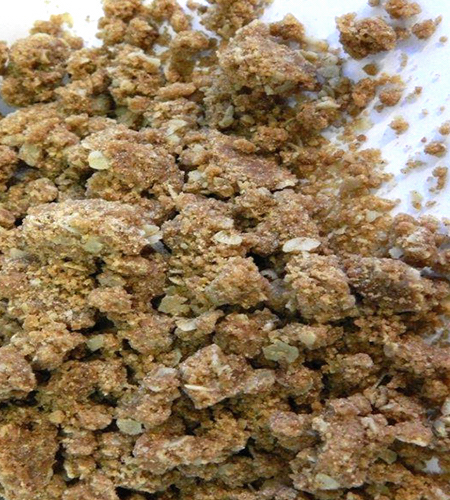 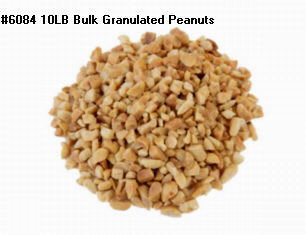 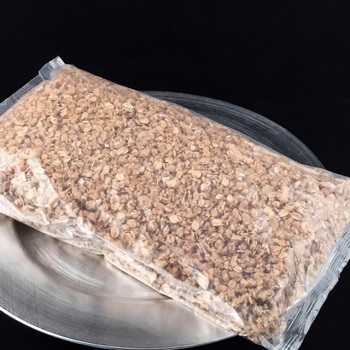 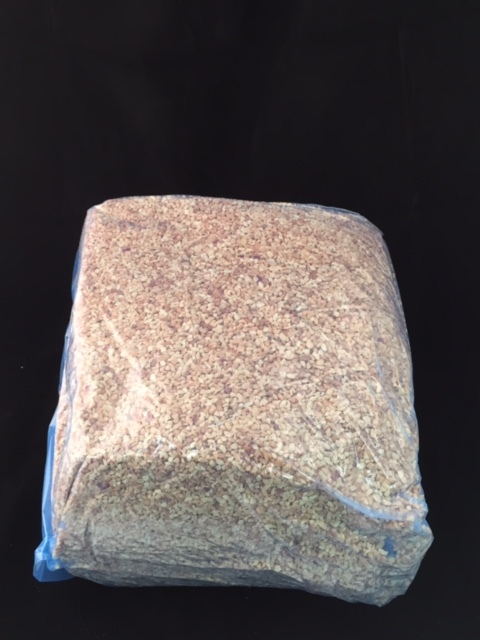 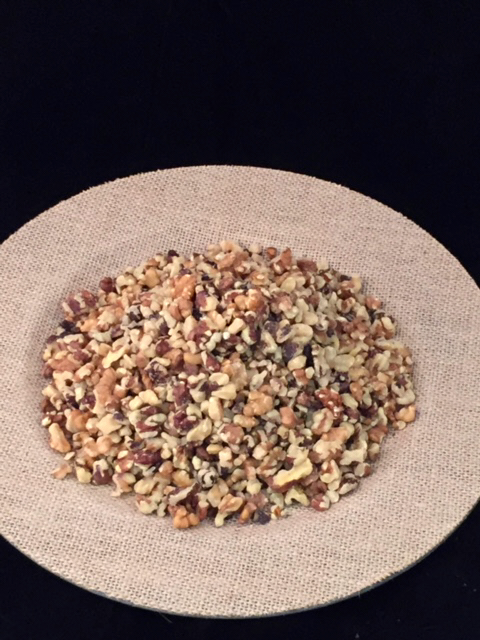 6082 GRANOLA TFF, LOFAT, NO RAISIN 3/2.5LB 3/2.5 lbs. 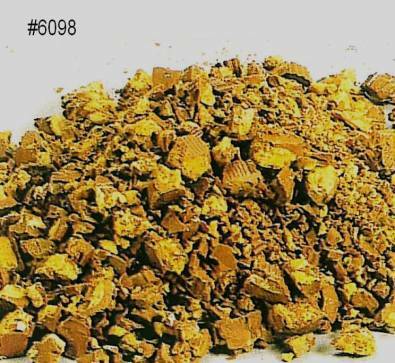 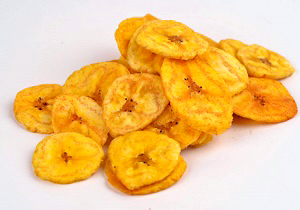 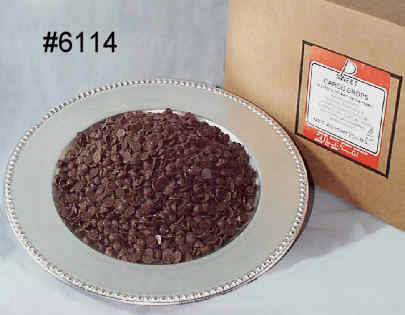 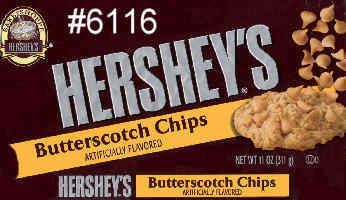 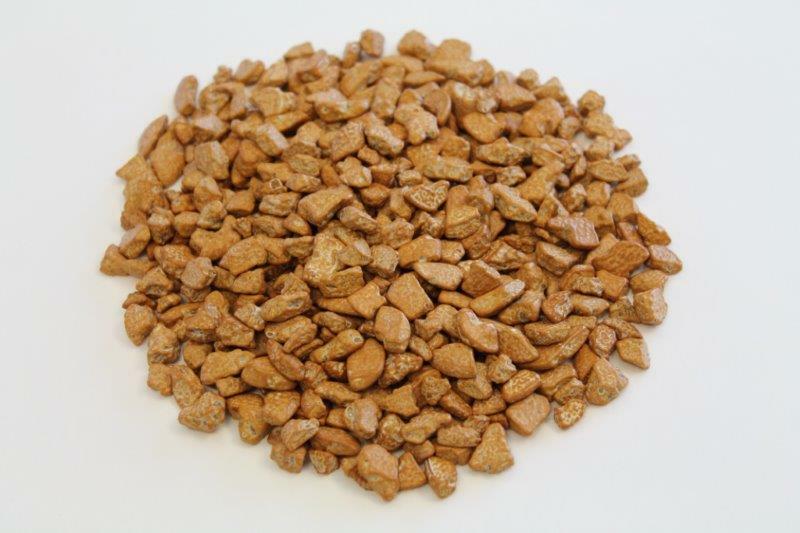 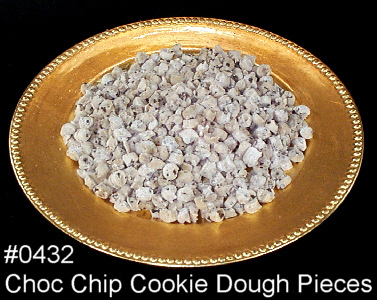 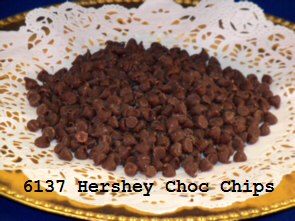 6116 CHIPS BUTTERSCOTCH HERSHEY REF 12 11oz.